Rooftops could be in for large Bold changes. They could impact the way we live and how we interact with the planet. Who would think something as mundane as shingles could possible be so important? 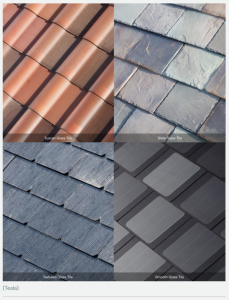 Elon Musk’s Solar City and Tesla recently announced their new version of rooftop solar shingles with fanfare. They are stunning to see yet some industry people have expressed skepticism of their announcement timing and ability to deliver. Musk’s Solar City is not the first to introduce solar tiles. Denmark based Zep BV says it invented the solar roof tile in 2015. Zep has installations already in Germany, England, Netherlands and Scandinavia. Nevertheless, Bold Business is excited to see Musk boldly put his vision forward and bring attention to this Bold Idea. 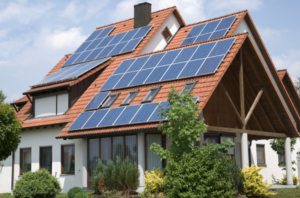 What is so important about solar shingles? Ugly Solar Panels could become a thing of the past. First off, the beauty of these shingles makes ugly solar panels an inferior choice going forward. In some states and countries, solar panels are outlawed due to aesthetic reasons. Rooftop panels are largely illegal in Florida, South Carolina, Virginia and other states. This could now get solved with aesthetically roof tiles. Secondly, they will power your home and your car! 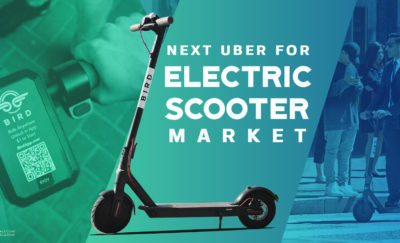 Tesla’s vision of integrating the home and transportation for electric power is an important step in finally bringing the solar market into a new paradigm. Using ugly panels or charging your car with electricity defeats some of the inherent passion people have for sustainable energy. This will change. With Tesla’s new integrated Powerwall 2 and car charging unit, solar energy captured and stored will potentially be able to power a 4 bedroom house and your automobile. Thirdly, they are durable and cost efficient. According to Musk, his new panels are both. “It’s never going to wear out, it’s made of quartz, it has a quasi-infinite lifetime”, he said at his press conference introducing his panels on the set of Desperate Housewives in LA. They also are according to Tesla stronger than traditional rooftops. Bold Business applauds the Bold Action by Elon Musk. Sustainable Solar Energy is an important opportunity for world improvement. Bold Ideas attract multiple Bold Leaders who take actions to implement them. In commenting on Musk’s announcement, Zep BV reinforced the Bold Impact the industry is aspiring to. “We share with Mr. Musk his visionary insight that solar energy power is the future and PV tiles must allow every home owner to generate solar power for multiple energy purposes. In essence we have the same idealistic mission,” said Joost de Graaf of ZEP. We will continue to follow the solar industry and its leaders. We are rooting for success!